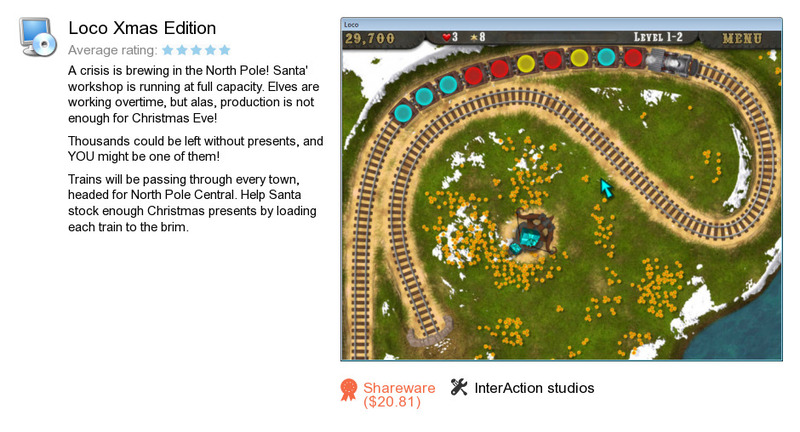 Loco Xmas Edition is a software product developed by InterAction studios. We know of versions 1.4, 1.0. Version 1.4.1 is downloadable at our site. Loco Xmas Edition installation package has a size of 8,473,538 bytes. InterAction studios also publishes Chicken Invaders: The Next Wave (Christmas Edition) and Chicken Invaders 4: Ultimate Omelette.